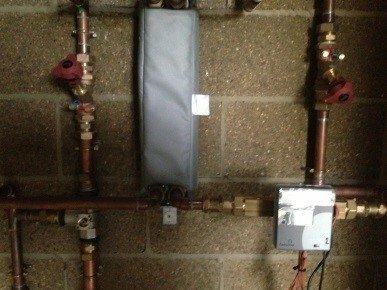 We installed the Uponor Thermotwin insulated underground pipework which served as our ‘Heat Main’ from the boiler to the 3 district heating areas (Main House, Annexe and Stables). 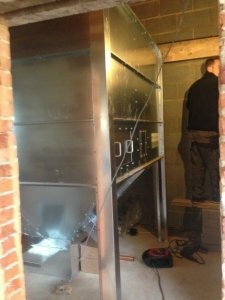 Secondly, we assembled and installed the galvanised steel fuel store. 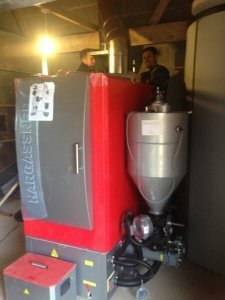 The boiler then arrived on site, and was off-loaded into the Plant Room where the mechanical and electrical installation commenced. 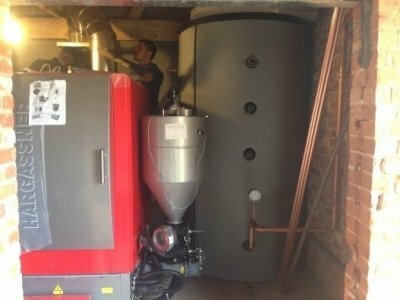 Heat Exchangers were installed within each district heating area, along with Ofgem approved heat meters to allow the customer to claim the Non-Domestic RHI.